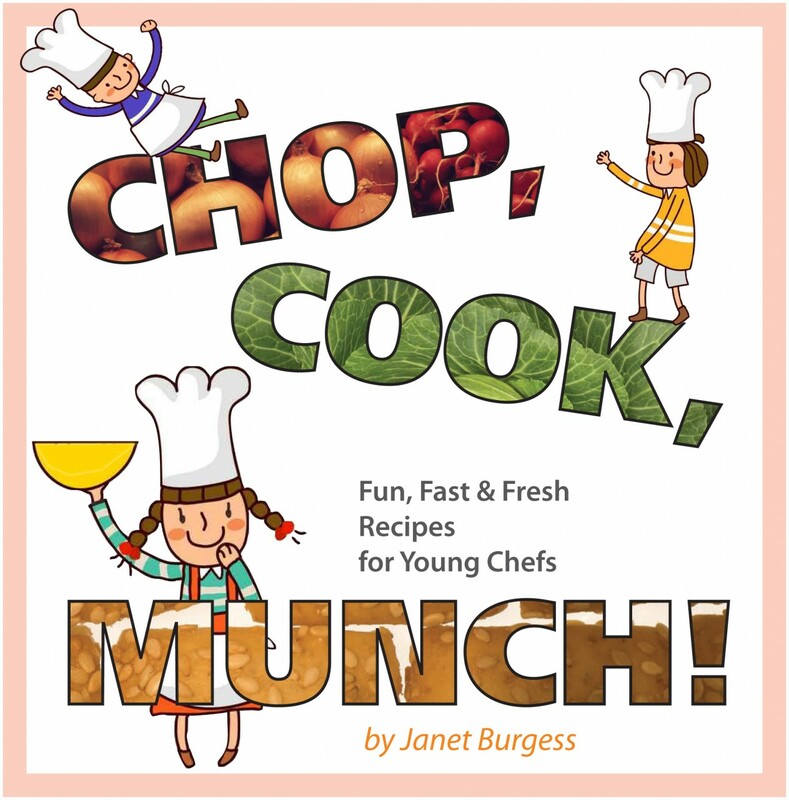 Have you been looking for a fun, fast, fresh and easy way to make recipes with your children? CHOP, COOK, MUNCH! is for you! Spend quality time with your children teaching them how to cook and have fun using simple ingredients. More than 60 irresistible recipes for kids to enjoy. There are kid pleasing recipes for breakfast, lunch, dinner, dessert and snacks to make in 30 minutes or less. Chock full of favorite, amazing kid tested recipes, tips, a tool list and everything your child needs to know how to be a cool chef. Share healthy and time saving recipes with your children making these fun recipes. CHOP, COOK, MUNCH! is full of information about learning and sharing in the kitchen. Click the button below to add the CHOP, COOK, MUNCH! to your wish list.